Have you been to my beloved country Philippines? Discover the beauty of my homeland. Philippines is made up of 7,107 islands. Situated in the western Pacific Ocean, this country is abundant with natural resources and some of the worlds greatest biodiversity. From ocean to the mountains this country is a home to many islands to explore. It has many active volcanoes and one of them is Taal Volcano which is the worlds smallest active volcano. Our trip to Taal Volcano wasn’t in our plan. As we are driving around South Luzon of the Philippines and navigating for our adventure going to Tagaytay, this place captured our eyes. From a distance, you will see already the beauty of the place, but we choose to cross the water just to see the real crater lake. So, we stopped at Talisay, Batangas to know how to go into that small island . We stayed in Cabuyao, Laguna so it’s easy for us to travel to Mt. Taal. It took us for about 2 hours to drive by car to Talisay Batangas via Tagayatay-Calamba road since it’s our first time and not familiar with the place and the road is winding. We hired a banca (boat) to cross the Taal lake from Talisay, Batangas. As we arrived in the island we met many local and tourist travelers exploring the place. Upon arrival we pay (P50.00 pesos) at the office to explore the place then we pay (P500.00 pesos)/person with a guide to ride a horse going to the crater. You don’t need to worry if it’s your first time riding a horse since you will have a guide. We had so much fun riding the horse. It was such a nice day trip for some fresh air. It was worth experiencing. As we almost arrived on top of the volcano, we saw many holes and steams coming out from the holes. it’s a sign that the volcano is active. Then, there we saw the crater of Taal. There are many vendors too on top. And we tried the golf club wherein you will hit the golf ball into the lake. It was such a great view on top of the volcano. Good that we bought a sombrero to shield us from the heat of the sun. Since the weather is hot and we need to refuel ourselves, we ordered fresh coconut juice. Then we bought some souvenir shirts. We relax for a while then took many pictured as it’s only once in a lifetime adventure. I’m sure I can’t go back in that place again. We stayed on top of the volcano for about an hour then go down as the banca (boat) is just waiting us to go back to Talisay Batangas. Note: If you are a budget traveller like us and want to visit Mt. Taal please bring enough water and snacks as it is very expensive to buy water and other drinks as the supply is still from Talisay, Batangas and some even from Manila. And they’re paying more on transportation just to bring the water and other foods to the island. As you go with your adventure to the crater of the volcano, you will see kids selling fruits. My advice, please buy their fruits. It’s a big help to them and their family. After Taal Volcano trip, we drove to People’s Park in the sky at Tagaytay. There are many local and foreign tourist in the park. It’s only free to get to the park. It’s such a beautiful place. You can see the whole view of Mt. Taal. My advice: Be very careful in driving to the park. It is winding and dangerous road going to the top of the park. We still want to go to the Sky Ranch in Tagaytay but we don’t have time anymore. It’s time to go home and rest to prepare for the next days adventure. Thanks for reading! And stay tuned for more of our family adventure. We hope you enjoyed reading and get some ideas on our family trips in the Philippines. I’ve always wanted to go to a volcano! I drove past one in Iceland, but never any where tropical! Thanks Lottie! You can visit Philippines it has like 23 active volcanoes. It’s a great experienced. I have always wanted to visit a volcano I have never seen one. Neither have i been to philippines. Is this a sleeping volcano or a dormant volcano? I loved the pictures as well. Hi Monidipa, come and visit Philippines. It has 23 active volcanoes. Taal volcano is a dormant volcano. It is the second most active volcano in the Philippines and has 33 historical eruptions. The last eruption was year 1977. I am not born yet on that time. Goodness gracious! 7107 islands is no game at all! Well, the Philippines is no doubt huge and terrific! Anyway, I’ve always loved mountain and hill climbing so I can say that your visit to Taal volcano was awesome. And also, the People’s park provides such a nice view of the mountain! Thanks Nik for reading. Hope you enjoyed reading about my country Philippines. That looks like an amazing trip! Going to a volcano is a bucket list item for me! Hi Lauren. It’s a great experienced. It’s my first time to visit a volcano. You can visit Philippines. It has about 23 active volcanoes. Thanks for reading. Hello, it’s my first time to experience visiting a volcano and it has an amazing view on top. And the air so fresh. Oh yeah, I saw that on the news about Hawaii volcano that exploding recently. Taal Volcano last erupted year 1977. And now it’s a tourist spot. Thanks much for reading. I wouldn’t mind going to the Philippines one day. I know it’s a gorgeous country. What a beautiful location! I have never been to the Philipines and I had no idea that it was made up of so many (thousands!) of islands. I really liked the tip of bringing your own water and snacks, but to help local families by purchasing fruit from the local children. I’ve never been but it looks beautiful and interesting. Wishing you safe onwards travels. 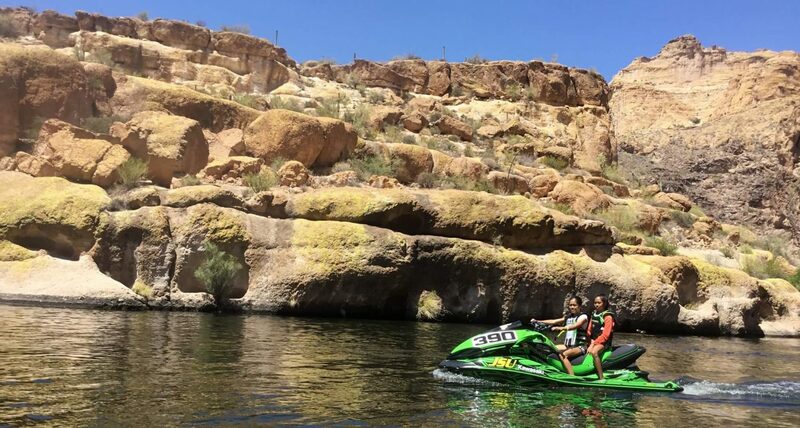 this looks like a place for an adventure and I can see that you had an awesome time there 🙂 thank you for sharing your experience. I have been wanting to visit the Philippines for a long time! How beautiful the views from the volcano!! I would love to go to the Philippines, but have no idea where to start! As you said, there are so many islands, and I don’t know enough to know what would be the best place. I guess I’d just have to explore and learn! Beautiful Taal Volcano. I’ve never been but hopefully on my next visit to the Philippines. The country has so many beautiful spots. This looks like a beautiful location to visit. The volcano looks so stunning how awesome you got to see this in real life. Wow the views are amazing. It is so special that you can experience it with your family. I never been there but planning to go soon. Thank for sharing! The Philipines are on my list! A High School Friend of mine has been there for months now vlogging and it seems gorgeous. This trip will be one I need to take when the time comes! These pictures are great! I have never been to a volcano but would love to visit one after reading your post. You are so right, it is a once in lifetime experience! I can honestly say I have never done a trip to a volcano! Always felt scary aha silly I know! but this looks like you had an amazing time. This looks like an amazing place to visit. It looks like you really enjoyed your experience. I have never seen a volcano and after seeing these amazing pictures, I am sure that I will make it to my travel list. It’s good that this volcano is dormant. How beautiful!!! I have seen a couple volcanoes in Hawaii. I would love to tour and see more. Your family is beautiful as well. We have never ever seen a volcano from afar, let alone be near one! Wow this must have been such a wonderful experience for you guys! nice explanation…..You gave a good reason to visit Philipines …How beautiful!!! I have seen a couple volcanoes in Hawaii. Wow what an absolutely amazing looking place to be able to go and explore! Your photos are amazing and definitely make me want to go and vsit. I have never been to the Philippines, but it looks so gorgeous! I wish I could go! you are brave for getting so close to a volcano! Whoa, those views are amazing! I think it’s time to plan a trip to visit my bf’s family! What a great post and loving the photos! The Philippines are on my list of places I’d like to visit, and this just reminds me of why! Visiting a volcano would be such a unique experience! I would love to try that fresh coconut juice too . . . yum! I have heard so much about the Philippines! I cant get over those stunning views! What a really beautiful adventure you and your family had. The Phillipines is definitely on my travel listing! wow that view though! Phillipines is definitely on my list. I had no idea there were so many islands though! This volcano looks incredible! And it looks like there is lots to do. I have to go! I have never been on a volcano! It’s definitely on my bucket list! Thanks for sharing your experience and tips for travel! Having lived in the Philippines for almost 12 years, I haven’t paid a trip to Taal Volcano. I know for sure that the next time I visit the country, I’ll make a trip here.